Do You Know How to Pick the Right Tie for Every Occasion? Picking the right tie is not as simple as 1-2-3, especially when deciphering vague dress codes such as black tie optional or creative black tie. Avoid the pitfalls with this uncomplicated advice. White Tie: These ultra-formal occasions call for white satin bow ties. Black Tie: Wear black bow ties or neckties made of silk or satin to these events. Creative Black Tie: This dress code offers latitude as well as opportunity for a fashion faux pas. To appear conservative, follow the guidelines for black tie optional. To project a fashion forward image, wear trendy bow ties or neckties in bright colors or edgier neckwear like bolo ties or ascots. Black Tie Optional: Wear a tuxedo or a black suit paired with solid colored ties: black, gray, white or silver. Semi-formal or Business Formal: Wear a conservative suit (navy or gray) paired with a navy or burgundy tie. Select solid colors or ties with small diamond, dot or square patterns or diagonal stripes. Festive Attire: Conversational ties (those embellished with bold images or graphics) are often worn to these affairs, but choosing them might not be a smart career move. Select the type of neckwear your boss or the company owner typically wears. Business Casual: Ties are usually optional for business casual. However, wearing a tie sets you apart and may help you move up the career ladder faster because you are dressing for the job you want, not the one you have. The four-in-hand knot is an excellent choice for most occasions. It is easy to learn and looks good with most shirt collars. The half and double Windsor knots are more formal than the four-in-hand knot as well as more difficult to learn, but well worth the effort. These knots look best with wide collared shirts and are a smart choice for formal events or business dress. Knowing how to tie a bow tie should be part of any man's how-to-dress sharp toolkit. While more difficult to tie, bow ties are costume de rigueur for white or black-tie events. If you want to make an appearance when you walk into an event, opt for a bow tie. Always unknot ties completely before hanging them up for storage. Ideally, ties should be stored on a tie hanger to allow the material to relax and regain its shape. Getting dressed is less stressful when you feel comfortable matching your ties to your circumstances. Feeling appropriately dressed enables you to project confidence, and you will perform better no matter what you are doing. Author Bio: Jatin Vengurlekar is Owner and Chief Stylist of Sydney’s leading fashion tailoring house Montagio Custom Tailoring. Established in 2010, Montagio has quickly become the destination for discerning men in Sydney looking to suit up with personally designed looks and flattering fit. Jatin is one of the pioneers of custom made suiting in Sydney. 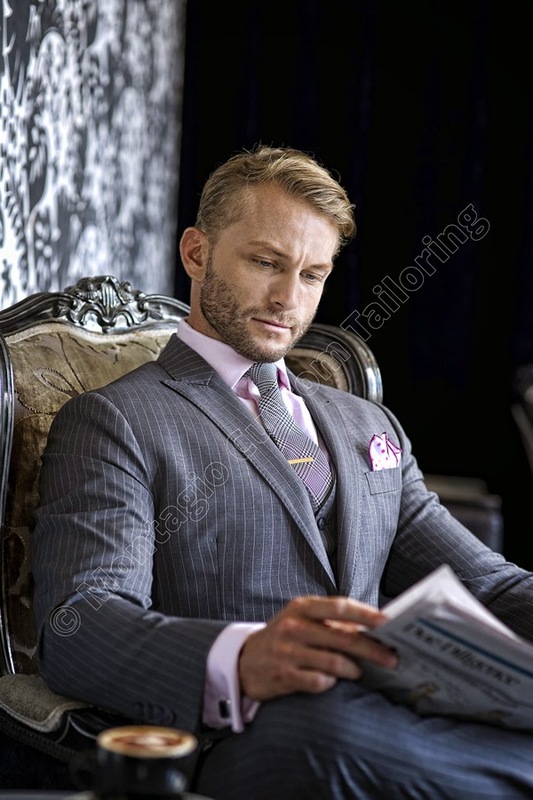 He has personally designed suits for Australian celebrities, business leaders and thousands of men who want to look their best in every occasion. He has been interviewed by Sky News the Daily Telegraph and other media outlets about the success of his vision and is always ready to discuss style, business and other manly pursuits.